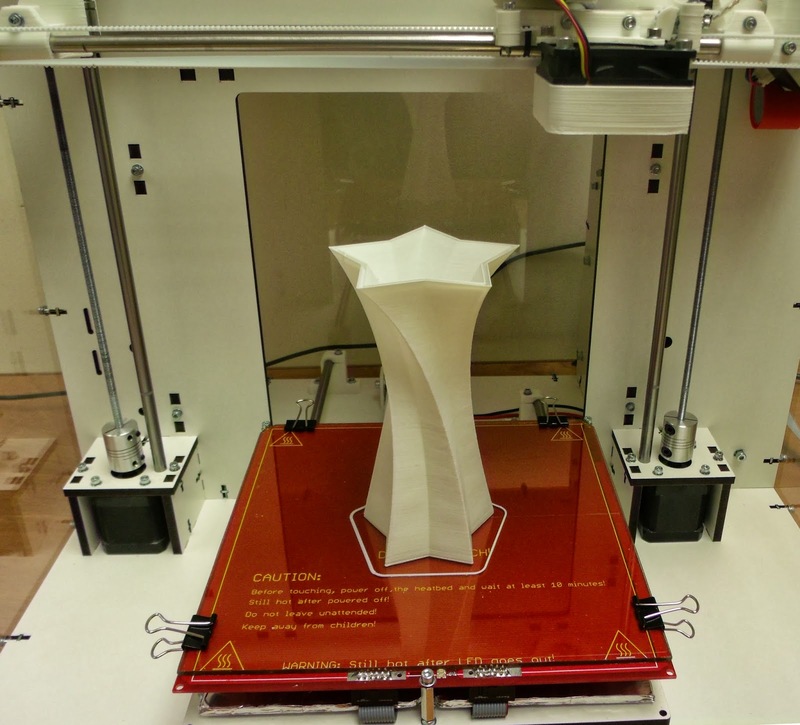 The Think3dPrint3d Lasercut Mendel90 is ready! 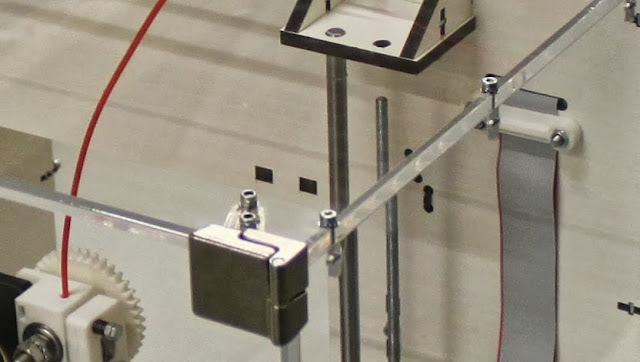 After a period of extensive prototyping and beta testing the design is set, and right now multiple versions of this printer are churning out the parts for the initial run of kits. This is our interpretation of the Mendel90 design by Nophead based around a laser cut frame. It borrows the fixing method from the Lasercut i3 design by Shane Graber and the majority of plastic parts are from the Dibond Mendel90. First, the laser cut frame is made from melamine-coated MDF which is much more resistant to knocks then regular MDF and doesn't require any painting or other finishing. 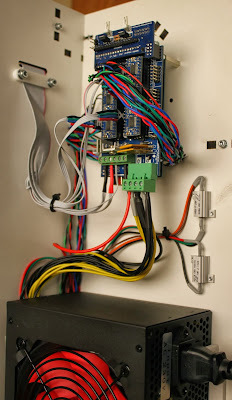 All the wiring comes ready to plug and play in pre-assembled cables or looms so there is no crimping or soldering required at all. The printer comes with a RAMPS controller with 5 "Ice Blue" Stepsticks and the Panelolu 2 controller as standard. The acrylic enclosure is an optional extra which keeps the heat inside the printer to reduce warp when printing with ABS. It also helps to reduce noise and adds to the professional look of the printer. It uses the same fixing method as the printer frame and can be fixed on quickly and simply without disturbing the printer or calibration. Overall, the design removes hassle from kit assembly at every turn. 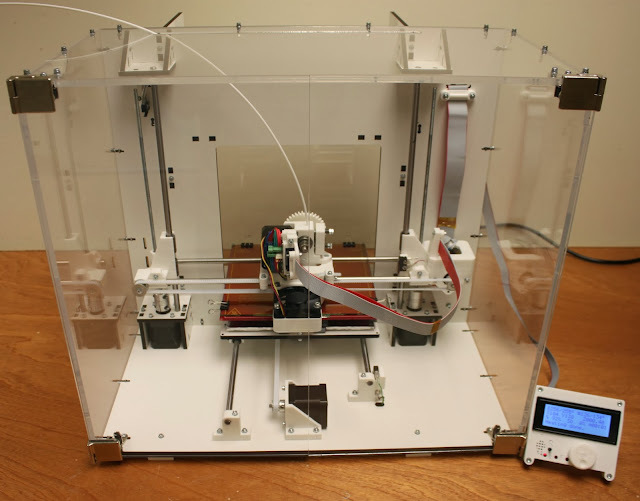 The printer can be easily put together in a day, with very little calibration required as all the critical dimensions are set by the laser cut frame. Kits will be available shortly (Update: now available from our webstore). We have a couple of components to finish sourcing in bulk and I will do another blog post with a run-down of the assembly process. I also need to tidy up and document the source code for the plastic parts and frame. All the source will be available on our Github before the printer goes on sale. 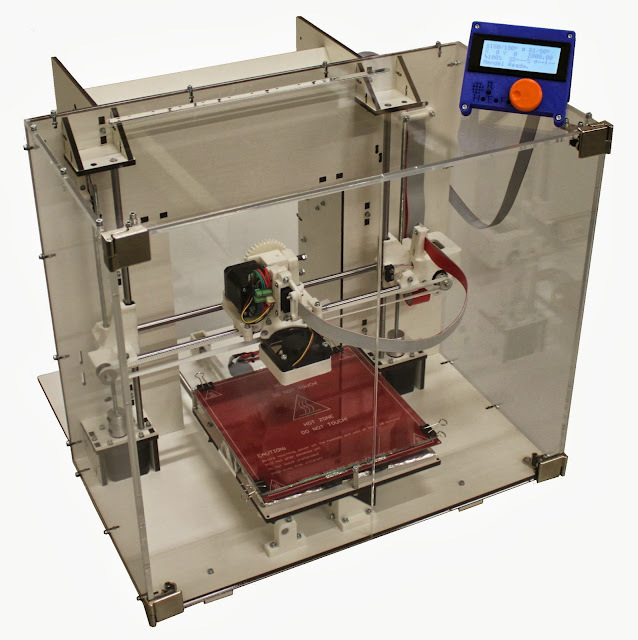 We are supporting the RepRap stand at the TCT show this year and will have a Mendel90 LC or two on display. The TCT show is free to register for so please do come round and say hello. Nice setup ! could you please give some details about getting fabrication files ? 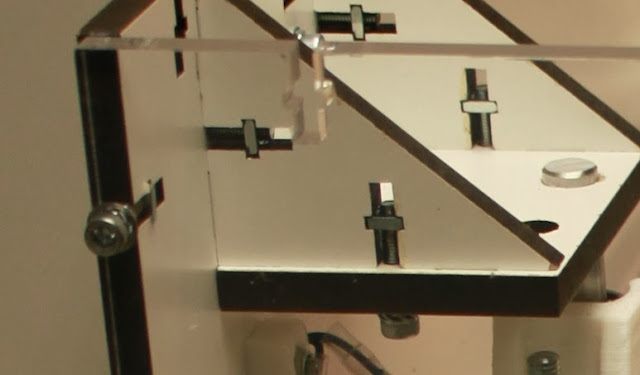 If you are lasercutting the sheets, is the kerf width already accounted for or is it important to offset the dimensions? The pieces, after cutting, need to be the size indicated in the DXF so depending on the process used a greater or lesser amount of kerf will needed to be factored in by whoever is doing the cutting.